Look development artist and generalist with 15+ years of experience in fast paced feature and commercial production. Also skilled as a Maya TD with a focus on pre-production, development and software/tool development for a production pipeline. Experience working in both 2D and 3D pipelines. Maya Animation, Character Rigging, Modeling, Pre-Visualization, Compositing, Lighting, Illustration, Storyboarding, On set photography. Collaborate with production designers and art directors to design animated test and images to establish look of picture. Consult with production on show workflows and techniques. Create and construct physical materials for pitches and marketing such as character walkabouts, toys, and character maquettes. Communicate with third party vendors to ensure consistent quality on outsourced properties. Provide tools for artists to alleviate unique problems that occur durning development. Projects include Hotel Transylvania 3, Smurfs: The Lost Village, The Star, Spider-Man: Into the Spider-Verse. Planned shots with directors and VFX supervisors to meet demands of story and to problem solve during production. Created environments to help plan or enhance film production. Implemented complex camera animation and intricate character staging. Built and supported a pipeline to enable animators to transfer data between Unreal engine and Motion Builder while maintaining the current Maya pipeline with minimal impact on artists. Performed character rigging within studio guidelines and altered existing rigs to work with client provided data. Projects included Honda "The Power of Ridgeline” and Downsizing (Supervisor); Suicide Squad (Lead); Warcraft, Avengers: Age of Ultron, Poltergeist, Insurgent and Hunger Games Mocking Jay Part 2 (Artist). Worked with producers and directors to plan out timetables and milestones during production to meet deadlines and budgets. Performed initial conform of editorial elements including ingesting plates and shot breakdown/creation. Created visual style for 1-2 minute shorts, including color grading, FX animation, set extensions, and character animation. Established a pipeline to manage shot assets and then exported rendered elements into compositing and back to editorial for final delivery. Animated characters and FX for commercial and web content on compressed schedules. Rigged photo-real characters and props to client specification. Supported compositors with necessary rendered elements and provided rough compositions to inform the final product. Supported tools for production pipeline. Clients included Carl’s Jr., Google, Budweiser, and Acura. Trained new and rehire animators on SPI pipeline and toolsets. Consulted with various department heads to address input from users and help implement changes to facility toolsets. Trained artists in layout, pipeline, matte painting, and facility level tools during production. Led an internship program teaching interns animation principles and how they apply to production for both VFX and feature animation productions. Recorded and edited instructional videos across departments for documenting workflows and toolsets. 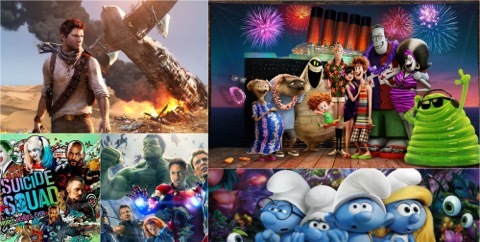 Projects included Men in Black 3, Amazing Spiderman, Smurfs 2, Oz the Great and Powerful, Edge of Tomorrow, Cloudy with a Chance of Meatballs 2, and Hotel Transylvania. Led a tech arts team while consulting with clients to ensure quality and intent of content. Created tools to manage character attribute data and scene integrity integration within the game engine. Verified tools created could be used across multiple games in current and future productions. Projects included Uncharted 3: Drake’s Deception and The Last of Us. Revised rigged characters to meet animators’ requests and simplify complexity of previous rigs. Produced FX animation for destruction effects, including fire, smoke, sparks, glass, etc. Developed pipeline tools for facility level file system and asset management. Made show specific tools to address artist needs such as changing character costumes and accessories based on shot needs. Streamlined asset publish process from animation to lighting. Clients included Sobe Energy Drink, Burger King, Audi, and Ubisoft. Installed a pipeline for managing large-scale assets including environments, characters, and camera animation. Supervised on-set filming of shots released to post-production effects and captured reference photography for lighting and texture. Photographed HDR image setups to capture on-set lighting. Engaged with clients and directors to bid and set timetables and deadlines. Clients included Nike, HBO, Coca-Cola, Microsoft, Honda, Lexus, and Nintendo.